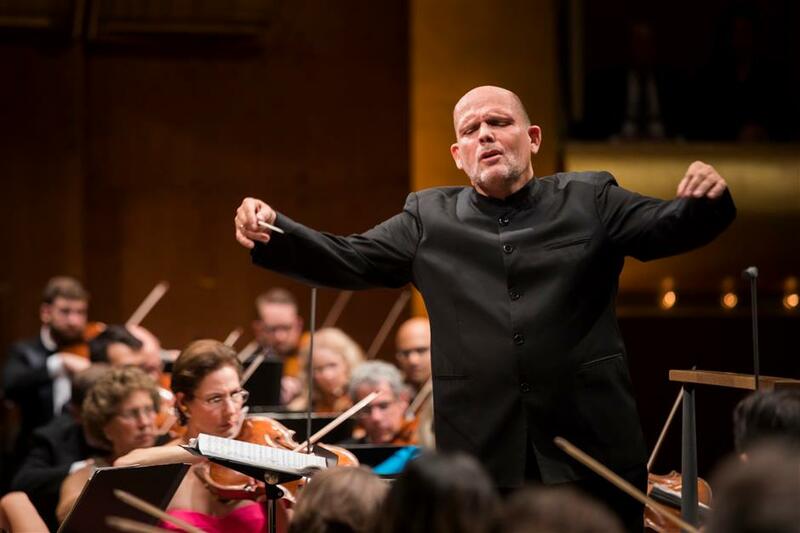 The 2018 "Music in the Summer Air" will start on Sunday night with New York Philharmonic's concert conducted by Jaap van Zweden at Shanghai Symphony Hall. The 2018 “Music in the Summer Air” (MISA) will start on Sunday night with New York Philharmonic's concert conducted by its 26th music director-to-be Jaap van Zweden at Shanghai Symphony Hall. The Orchestra, as an old friend of MISA will bring four concerts this time, with programs ranging from classic to jazz, from Mahler to Bernstein. Zweden will conduct the concerts from July 1-3, while Bramwell Tovey will conduct on July 6. “It attracts me greatly how New York Philharmonic is open to new music, how it is capable of presenting different styles of music, and its great power in music,” said Zweden, who will become the music director of New York Philharmonic this September. And according to him, New York Philharmonic’s power in music is obvious not only in the grant part, but also the soft spot section. “You will feel your breath taken away in the part when it plays in the way that is both amazingly soft and intense,” said Zweden. The Orchestra will bring four big pieces to MISA this time, including Beethoven’s Symphony No.5, Mahler’s Symphony No.5, Prokofyev’s Symphony No.5 and Stranvinsky’s “Rite of Spring”. Zweden adores the programs as it exhibits the diverse of music well. And the focus that he emphasized for the Orchestra in presentation also lies in the different styles of music. Tonight, apart from Mahler’s Symphony No.5, audiences will also hear Bernstein’s “Serenade,” which Zweden had played together with Bernstein as a violinist. It may not be a common way to switch from a successful soloist and concert master to professional conductors, but Zweden who did it about 20 years ago enjoys it still. “I had a really good time as a violinist, but when I started conducting, I knew that it is where I belong,” said Zweden. He believed that all his music experiences in the past nurtured him for his next step. “It is like that I have put many seeds in the earth, and now the flowers are to blossom for me and New York Philharmonic together,” said Zweden. Apart from the concerts, Zweden together with New York Philharmonic will also gave master classes, rehearse and stage together with students of Shanghai Orchestra Academy.